Everything from Go Vacation’s appearance, style, gameplay, and pure existence hark back to those strangely repetitive days of the Wii, where everyone and their cat was releasing a party-type sports game for Nintendo’s remote-waggling sensation. There’s good reason for that, too, as the game is an HD port of the original Go Vacation from that very system, bringing both the good and bad points from that release to a brand new audience in 2018. 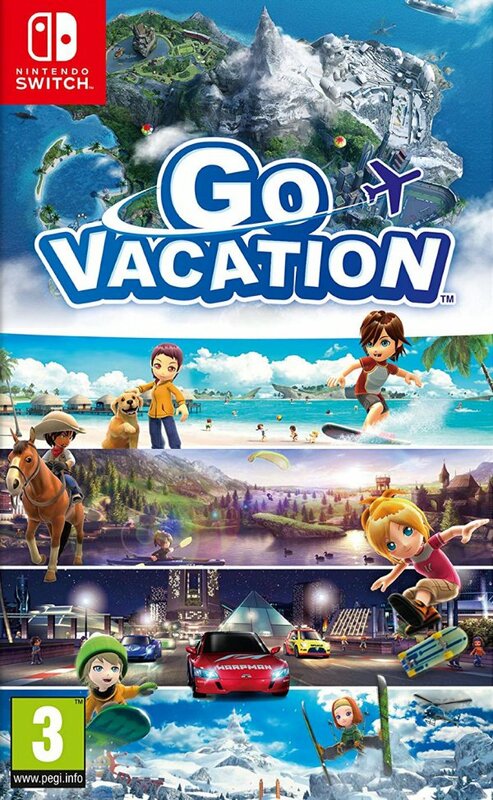 When we say that Go Vacation still has the appearance of a Wii game, we really mean it; while there’s been a bit of a touch up to suit the resolution requirements of modern displays, the character models, fuzzy edges, and use of overly-excited Mii characters made us question whether or not we’d accidentally stumbled into a wormhole and been transported back in time. There’s a cheery summer vibe present throughout the game, as you’d expect from a holiday resort, but its slightly out-dated look will likely leave you feeling a little cold. The game itself is a bit of a mixed bag, too. There are four main areas with different themes – Marine, City, Snow, and Mountain – and each one contains a generous supply of sporty minigames to enjoy either alone or with up to three friends. Your typical sports are there, such as tennis, racing, and baseball, but there are also a few slightly out-there options like water gun fights, pie throwing, and a glass harp game where you make music by rubbing drinking glasses. To give credit where credit’s due, with over 50 different activities to choose from, Bandai Namco has ensured that there’ll definitely be something for everyone here; even four hours into the game we still hadn’t tried out every single activity. Unfortunately, though, this was more to do with the game’s pacing than the number of activities on offer, as Go Vacation forces you to explore all four areas to manually find each individual sport before you can choose them from a menu. Expect to spend your first handful of hours trekking back and forth over and over again as you desperately try to find that air hockey game you wanted to play the first moment you loaded up Go Vacation. The activities themselves turn out to be the biggest let-down, however, with each one feeling like an undercooked version of things we’ve seen countless times before. Most games can be played with either a single button or very close to it, aiming to prioritise simplicity over depth for accessibility’s sake. While this is a nice idea on paper, it simply results in a set of games that get rather dull all too quickly, lacking the control and excitement you’d expect and hope for. You can choose to play the games with either standard controls (using button presses and sticks) or motion controls for that full Wii experience, but we found ourselves sticking with the standard setup for the most part. Being on Switch, this port ditches the faff of dragging out the Wii’s many accessory add-ons like Nunchuks and the Balance Board, and the HD Rumble feels great in places, but the motion never feels as precise as what we tend to experience in first-party titles, noticeably causing errors that simply aren’t an issue when playing with buttons. Despite criticising it just moments ago, we must say that the exploration of the four areas eventually becomes the game’s saving grace, to an extent. At first, endlessly running back and forth feels like a drag, but once you’ve unlocked all of the games you can start to truly take in the world that Go Vacation presents – and there’s an awful lot to do. Each area has hidden secrets to find, animals to photograph for your collection, people to speak to, and areas to earn extra experience points that can work towards levelling up your character. This, in turn, presents you with cosmetic rewards such as different clothing styles for your Mii, or even keys that can be used to unlock furniture for your own little villa that can be accessorised Animal Crossing-style. Each loading screen has the chance of giving you a new hint, too, which can give you a helping hand in locating one of each area’s secrets. Once you decide on a location to explore, you can set off on all manner of vehicles like ATKs, horseback, surfboards, skateboards, and more to get around, doing little tricks for extra points along the way. The world itself feels quite ambitious, and definitely provides much more in the way of extra content than the majority of sport-based minigame titles, but the main activities don’t do enough to support this. It’s quite sad really, as the main selling point of this game is its weakest feature; if the minigames lived up to the standards set by the exploration and customisation options we would have had a great little multiplayer party game on our hands. 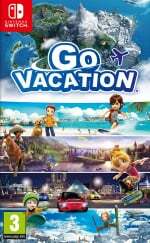 Go Vacation presents a world full of games and activities that feel consistently average, with common flaws across the board making each game similarly dull, tiresome, and not worth the asking price. The game’s setting itself provides a welcome break from this, though, with an impressive amount of things to see and do at your own leisure injecting a much-needed dose of fun into the proceedings. Strangely, this is a multiplayer sports game that probably suits those looking for decent single-player exploration the most. Not interested but I bet it sells well. Yeah, I never saw how this game could generate all the hype that it did. I'm buying it. I've had so much fun playing it on the Wii. So... was there online multiplayer? Updated: Thank you pbb76 (post #67) for stating that there is no online. @HappyRusevDay NLife gave their honest opinion of the game. That's what a review is. 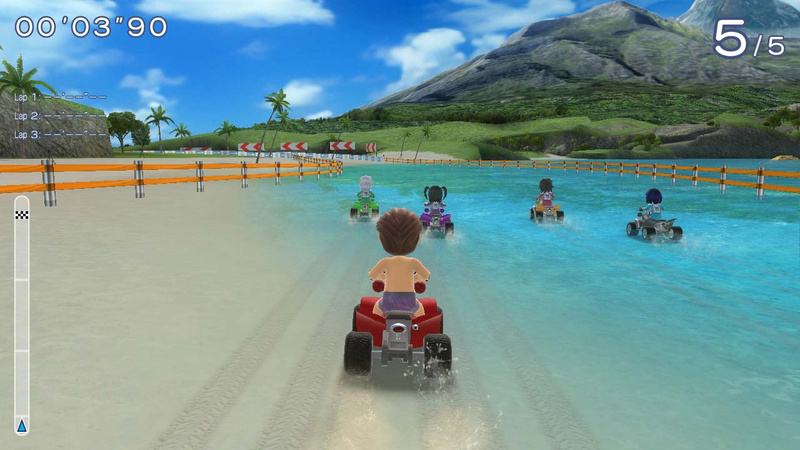 Having played Go Vacation during the Wii days, nothing they've criticized above is unfair. Enjoyed it on the Wii when I was 10 or 11, but I don't feel the need to revisit it when it's still very similar. @HappyRusevDay "the biggest indie trilogy to date" What are you talking about? I always loved Go Vacation on the Wii so I'll definitely be picking it up, if only for nostalgia. I have some amazing memories of just running around the open world with my brother in 2 player mode. As for the minigames I always enjoyed what I played so I'll probably see if they hold up to what i remember from 7 years ago! Is there a half decent Pool/Snooker included? Bandai Namco published a good number of quality casual games on Wii that didn’t necessarily get the respect they deserve: We Ski and Snowboard, We Fish, The Munchables etc. Looks like it could be mildly fun. Seems like a perfect black friday/holiday pickup when it's $20, Def not at $50 though. The fact that this is a Wii port makes it definition of shovel ware. If it was a new game it would be more positive, but as it stands it's a port of an old game that wasn't even good in the first place. Kind of like Legend of Kay. Go Vacation, for real preferably. Honestly amazed that games like this and Carnival Games are being brought back. Should we have left them in the dust? Maybe, but at least De Blob has been resurrected. Was hoping for a higher score, but after reading the review, I think I'll pass on this game. @toiletduck Banner Saga I think. I'd love it if Nintendo makes another Wii Sports for Switch. Couch multiplayer goodness! Haven't read the whole review, but it doesn't seem there's sufficient justification to upgrade if you've got the Wii version. This review tells me to stick to Wii Sports Resort. This was our most played Wii game, and I'll get the switch version day 1! I do agree with the comments that the individual games are not close to Nintendo quality control, but exploring is the real fun here. Playing with other players to explore, find the chests, and making use of the huge open world space by racing to spots on the map or playing tag, is awesome! That said, this game is for a younger audience. I've enjoyed playing with my kids, but wouldn't likely turn it on by myself. @cyrus_zuo thanks for that. I intend to play this game with my kids. Never played the Wii version so I was on the fence about it. Picked this up for my kids as it looked like a fun collection of games to waste some time in. Probably should have waited for a sale on it but they seem excited to play it tomorrow. I still think this looks like a fun game to chill out with . I never played the original Wii version , but I’m still tempted . I don’t have kids to play it with either , but add a couple of mates (and beers ! ) and I think I’ll probably get my money’s worth . I actually thought they added a couple of Switch exclusive events like fishing , but no mention of this in the review . I prefer to stick to first party Nintendo, so I’ll do Super Mario Party instead. I got the First gameplay of Switch version from Youtube, though it was Japan version played by Chinese youtuber. You better watch the link i got from Youtube. Kids are finally reaching the end of odyssey so might get this to keep them occupied. This game is the "holiday GTA" - without all the violence and those two bit delinquents. This is not a sports collection! It's a holiday simulator! It's probably not for those who are being competitive during their vacation. It's for people who'd like to go on vacation (hence the title!) - but they either can't as much as they'd want or just would like to do it from home, conveniently enjoy a vacation without the stress at the airport, a mass of people, the worrying about skin cancer, chilling cold or just the lack of real life swimming / skiing / gliding / driving etc. skills. By the way: the control system of many activities gets more complex the more you play it. The game eases you in it, then let you master it. If you decide to want that. After all, it's your holiday. You can do whatever you want. Definitely day 1 buy for me. Nothing else can even be compared to this one. Still waiting for Namco’s Muscle March. @construx Think you’re spot on with that description. I can see myself quite happily just chilling out for an hour or two in the evenings with a beer playing this . Got plenty of intense action games on the Xbox one , this looks unique and fun . @redd214 Yeah that's what I was thinking. This game screams "wait for a sale." The build up, the preview, the adverts, the you tube clips, the talk, the thinking this might fill a gap until Nintendo release something bigger, the review and then the score. A well deserved 6, which in reality converts to a 5. @Untempered-Link Off topic, but your profile picture is amazing. I'm sure my little one will love this, but definitely going to wait a while. Even if it doesn't go on sale, there will be secondhand copies floating around. If this ends up being anything like the first game, Nintendo Life gives it an average score, but my children give it a way above average amount of play time. The world between the mini games is where my children spend most of the time. Out of all our Wii games, the original is still played today. I know for a fact that if I were to hit eject on the Wii U, one of two games would come out, Zelda or Go Vacation. $49.99 does feel a little steep. But 20% off helps. Despite the review, this will be a very rare day one for me. Online Multiplayer? eShop still says 2-4 players online. So is it actually online? @Hikingguy where is there 20% off? @Hikingguy @pbb76 The discount is for Prime members, you end up paying $40. This looks excellent for kids, even more than just a Wii/Switch sports game. Thanks, Hikingguy for sharing the experience at your home. This is what I was looking for my kids, too young to properly play Mario and they got bored with Mario Kart. Go Vacation has plenty of options. Lol and they're asking $50 for this? I'll buy it when it reaches $15 bucks physical. I'll wait for a sale for sure. Meh should had been a free pack-in game with the system back in 2017. As a standalone it's just not something I want to throw money at. Not something I'd jump on right now. But if I catch it on sale for 30ish, I'll bite. As I had said several times before, for this is why I never consider ratings/scores in reviews, even if they are experts, professionals or whatever they are in the topic. Wonder about the splitscreen framerate. I believe it was 30 with drops in the original, how is it here? I was really excited for this but I'm very disappointed that it is 720p. A Wii port should surely manage 1080p on Switch, right? Full HD could really have helped the clarity for 4 player split-screen too. Another First Gameplay, French language. Watch from Youtube from my post #28. Split screen was still 30 fps. Is the motion control better here than on the wii/wii u? I mean, is the Switch joycon better than the wiimote/nunchuck combo? Being able to throw amiibo characters into a game like this would be fun. Other than that, I'm quite happy with this game! @NickFalk @NickFalk Nintendo only sites always score a bit higher. But even a score of six and an Amazon price tag of £35 ($46) does not suggest value for money. Maybe in a years time when it's discounted. @Anti-Matter Aw.. I mean, it will probably be less unstable, but still lame. Got this morning and actually really enjoying it - better than I expected. And for everyone asking - NO ONLINE. @Matthew010 Yep, as @pbb76 just mentioned above - there isn't any online. 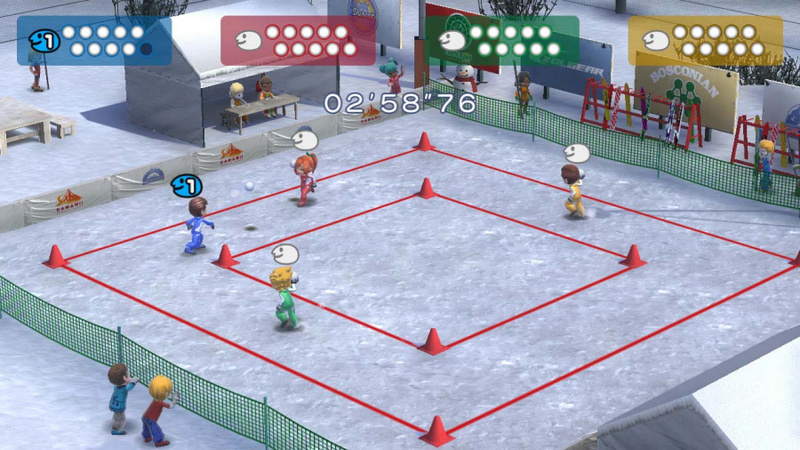 The minigames are purely for single player or local co-op (up to 4 players). Definitely fair comment - that the game really eases you in slowly and if you didnt realise, you'd think the mini games are pretty easy/shallow. But after you've played through them, loads more options unlock, like harder levels, different tracks, harder objectives, more control methods (like tricks etc). I'm still interested. Only just completed Mario and Sonic at the London 2012 Olympic Games on 3DS that I've had since launch, so need something to fill the place of my casual mini game collection project. @Bizzyb I appreciate the reply, thank you! I most certainly will. To be honest, I've enjoyed other games with far worse reviews than this; and yeah, even if it isn't that great, it will still be fun for the little one. 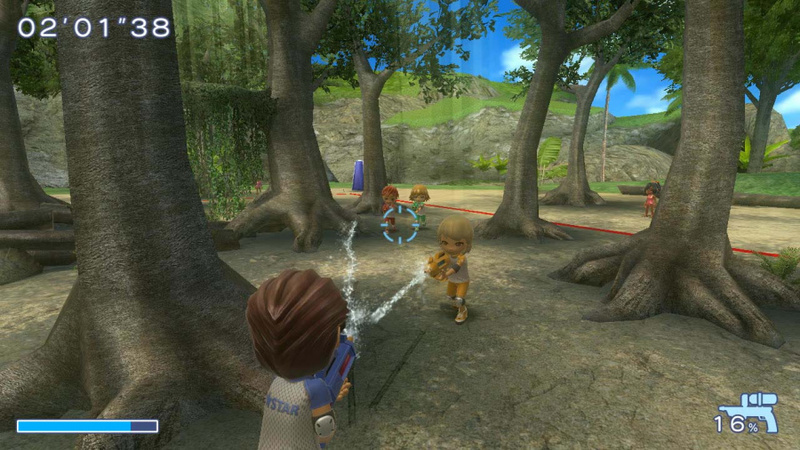 terrible Wii games are still terrible. Got this today , and it’s fun but I’ve come across a BIG problem - Some events still use motion control , even in handheld mode ! This just doesn’t work . Bungee jumping and Surfing are unplayable in handheld because of this .........how the hell did somebody not notice this during testing ? I mean you can’t throw your Switch around and look at the screen at the same time ! It was a decent Sports / Mini games compilation. I gave 6 / 10 for Wii version, 7 / 10 for Switch version. Well, it's a hit in this household!! while I respect the reviewer for his opinion on this game, it's already been played a lot more than games that I own that have got a higher score so I personally would rate it a lot higher if you have a family. 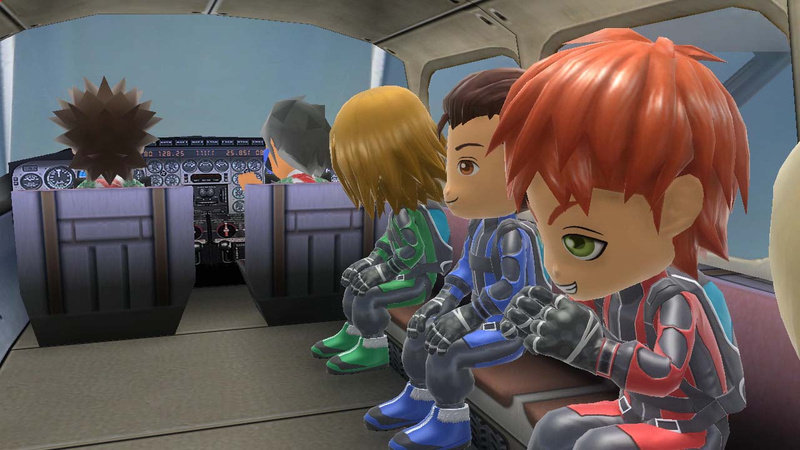 Also the fact that you can use your Mii's in the game is great too. @pbb76 Thank you very much for the online update. I wonder why the eShop lists it as an option?? @iamthesunset Thanks man, I'm sure you'll have a great time with this one. @Hikingguy Because it has online features. Namely, that up to three Mii characters of people on your friends list can appear in the game and join you. Same as the original Wii version. It isn't actual online gameplay, but it's still online features, so it has the boilerplate about requiring Nintendo Online account and everything else that a true online multiplayer game would have. A bit deceiving, but as the description doesn't mention online play, it's pretty clear it doesn't exist. Thank you for that detail! Much appreciated. I'm finding the controls a bit annoying in some games playing solo in handheld mode like how some games force gyro controls such as skydiving you have to tilt the Switch to get in position, Skateboarding to the tricks which give you more points you have to hold the right analogue stick while shaking the Switch. OH MY GOSH THERE IS A FISHING GAME. It's a surprisingly good game. Some cheesy music and presentation but there's so much to do with many of the 50 activities having multiple modes. Plus the whole open world and exploration aspect. A great game to chill with single player in between more intense games. I'd imagine it's fun multilayer too.